Submitted to All-Creatures via email. 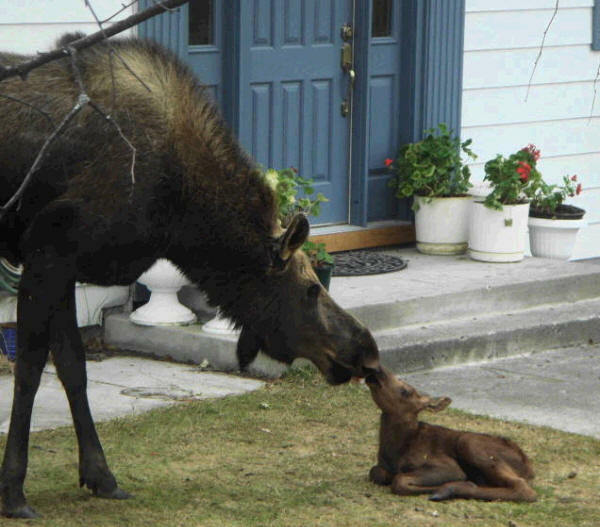 In my whole life in Flatrock (Newfoundland), I have never seen a new born baby moose. This one was not even a half a mile from my house. 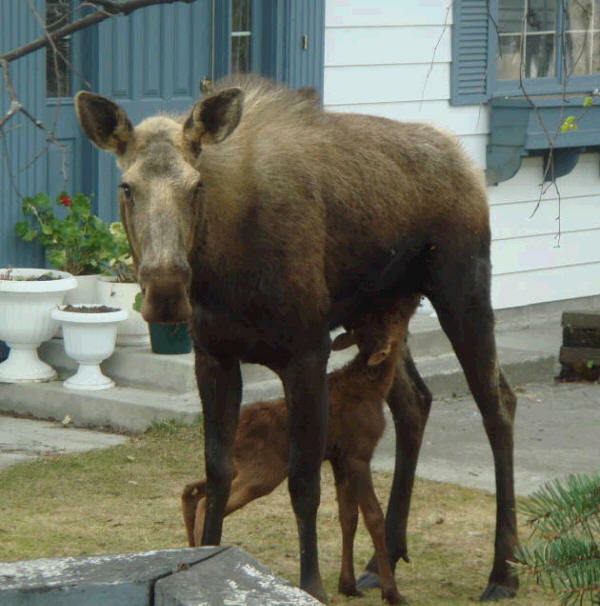 The mother picked a small quiet neighbor in Flatrock and had her baby in the front yard just off Deer Marsh Road ,at 5:30 am. Debbie and I (Jim) were out bike riding when we came upon the pair. The lady across the street from this house told us she saw it being born. We saw them at 5:30 PM. So the little one was 12 hours old. What an awesome place we live in, to see such a site.